The 4926 allows you to create your own messages quickly and easily. Each kit contains a self-inking stamp, a selection of different characters, tweezers for setting your message and a replacement pad. The stamp creates an impression of 75 x 38 mm and can accommodate up to 8 lines of customised text. 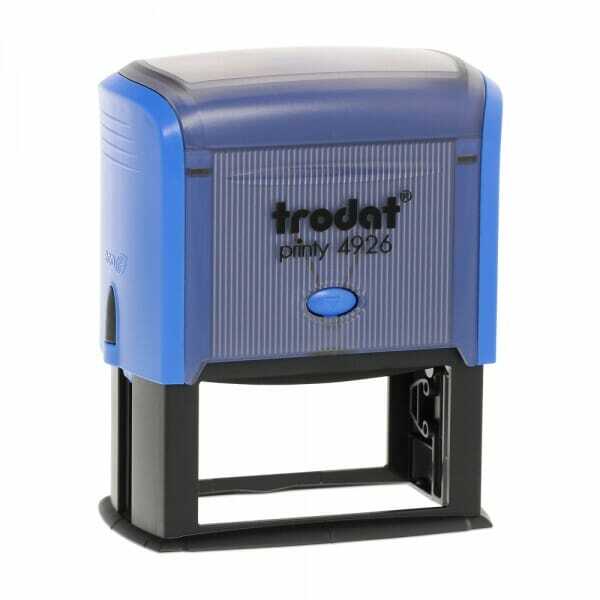 Customer evaluation for "Trodat Printy Typo 4926 - up to 8 lines of text"